UNDER CONSTRUCTION. This spacious two story 6 Bedroom/5 Full Bath home has 4809 sq ft and a 2 car Oversized tandem garage with storage. Your family will enjoy the spacious Gourmet kitchen with Stainless Steel Double Ovens Chef Exhaust Hood and Drop-in Cook top which makes it easy for entertaining. Make sure to see the large master bedroom with a huge closet and its enormous sized bathroom which includes a garden tub and separate shower downstairs. There is also one secondary bedroom for your guests downstairs. The laundry room formal living room and dining room are located downstairs for your convenience as well. Home provides 6 bedrooms with 5 Full baths and an upstairs game room and media room for addâl fun. Everywhere you look there is something special from the tray ceilings to extra storage space. Open your oversized family room pocket slider to reveal an extended lanai to enjoy your outdoor living space. 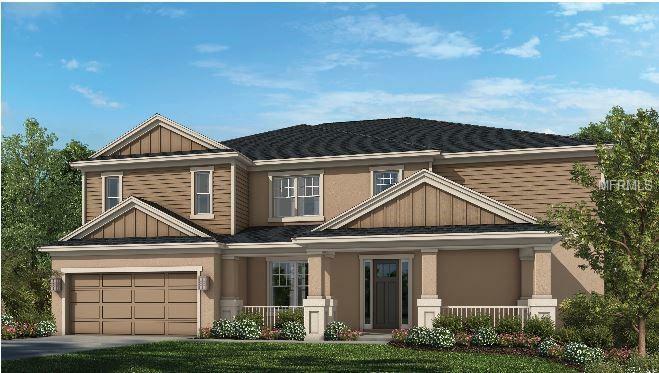 If that isn't enough this gorgeous home is located within the Retreat at Lake Charm a cozy enclave of just 46 home sites situated just north of the Lake Charm Historic District in Oviedo. Lots of Energy Efficient components as well. Hurry wonât last! Builder warranty! Pet Restrictions: Please see Community Sales Manager for breed restrictions.